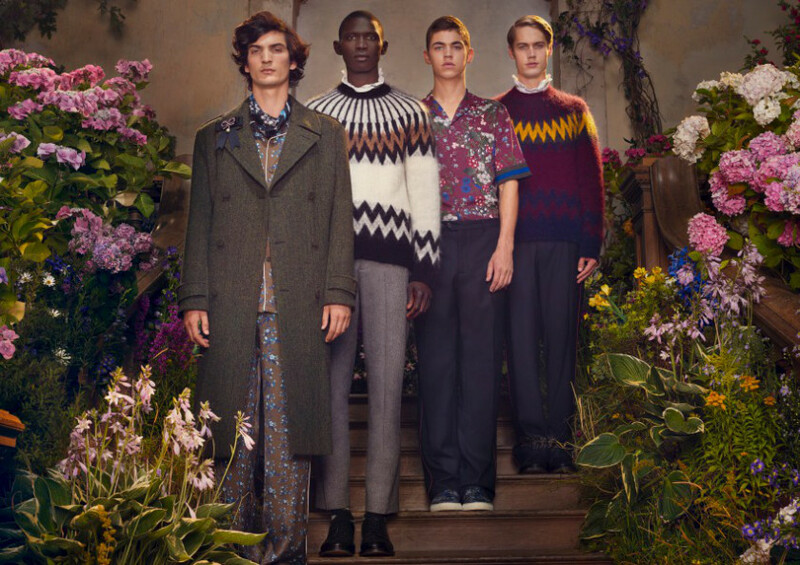 Two men in Erdem × H&M clothes, with a noticeable floral pattern, head to the countryside in a Mercedes-Benz R107, to ‘Redham Gardens, where it is always spring’—and so begins another artistic journey by filmmaker Baz Luhrmann, for H&M. The film, dubbed The Secret Life of Flowers, starring Tom Rhys Harries, Hero Fiennes Tiffin, Ruby Dagnall and English stage actress Dame Harriet Walter has the Luhrmann hallmarks of romantic settings, an emotive soundtrack (‘Hypnotized’, an exclusive new track for the film by Years & Years), a love story—and, in this case, a love triangle. Models Saskia de Brauw, Imaan Hammam, Grace Hartzel, Fernando Cabral, Neels Visser and Tony Ward also appear. 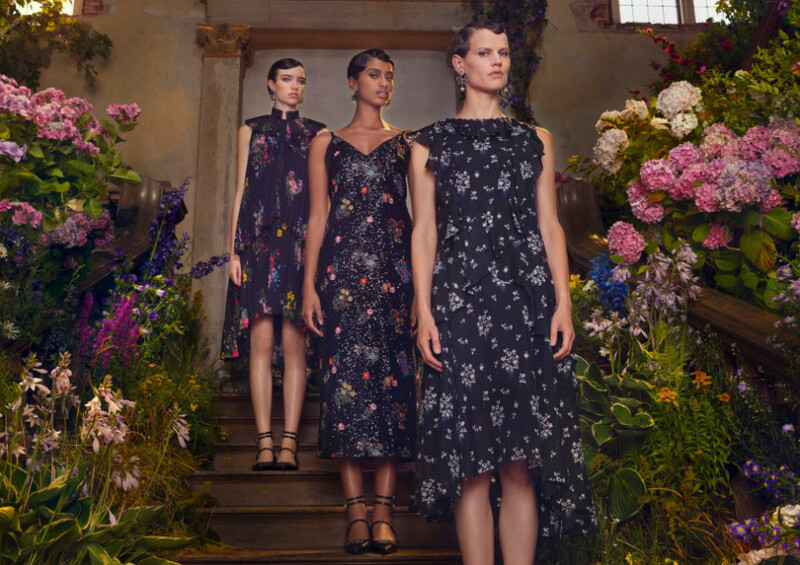 Shot at the Grange in Hampshire, the film shows off Erdem’s collaboration with the Swedish retailer in a lavish floral setting, and is arguably one of H&M’s most stunning promotions to date. Luhrmann explained his concept for the film: ‘You start with, ‘What is the big idea?’ and in this case the big idea is Erdem himself. He is in fact the script and the subject, and so my job was to craft a narrative that reflected his sensibility. ‘So that’s where this idea of “florals forever”, a spring, an eternal springtime, because what’s interesting is he’s not just doing florals but an autumnal use of florals, and that we try to incorporate in the movie. Catherine Martin, production designer and producer, said, ‘One of the things I think that Baz wanted to express were some of the fundamental characteristics of Erdem’s æsthetic and the romantic floral nature of the clothes. Luhrmann says the process evolved as the film was shot, and the clothes’ designs guided them. ‘Clothing is the very beginning of the DNA of your character is but what we do is … not just “Well, does this piece of clothing look good?” It is: we find the character so we equally started working with the actors. We were doing scenes as we were fitting the clothes. 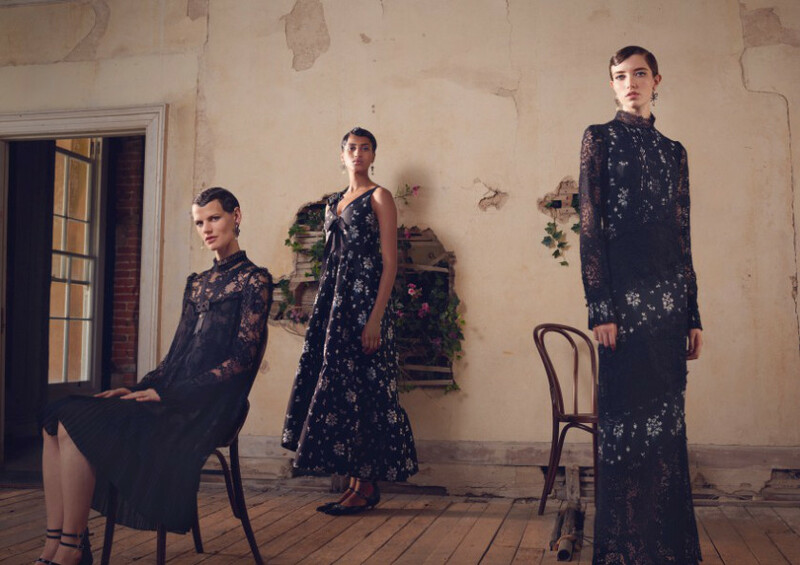 The Erdem × H&M collection retails from November 2 at selected H&M stores (including Sylvia Park, Auckland), as well as online at hm.com.